After half a century you really have to admire their determination. And that dog’s willpower. Most of my best dark ride photos happen during ride stops and this one was no exception. The boats were backed up particularly far on my most recent ride-through and I knew I had a golden opportunity to get a crystal clear shot of this famous standoff. 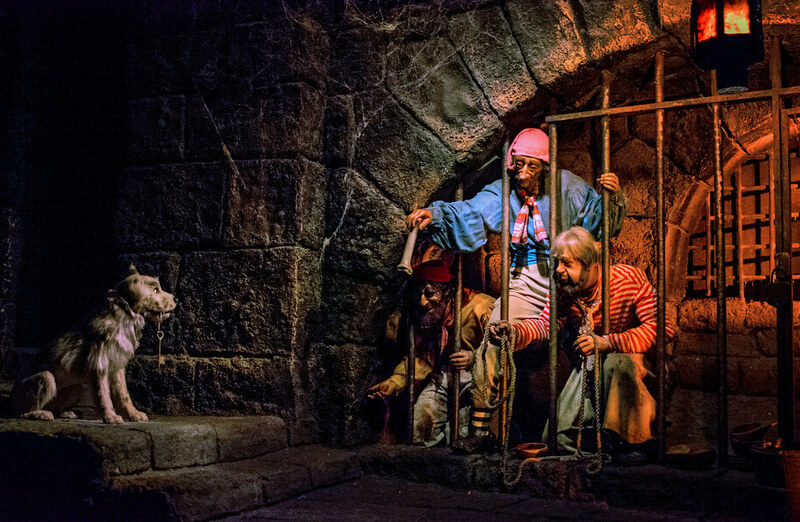 This entry was posted in Pirates of the Caribbean and tagged animatronic, dark ride, dog, Pirates, prisoners. Bookmark the permalink.